What else can we tell about the Durango Shaker Concept? It is hard to compete in the SUV segment, when Jeep, the sibling of Dodge in the FCA family, because Jeep has specialized and has controlled that segment since its early years. So, for the Durango to even be placed on the same stage as a Jeep Grand Cherokee, it is quite difficult to compete. So, what does Dodge have in store? 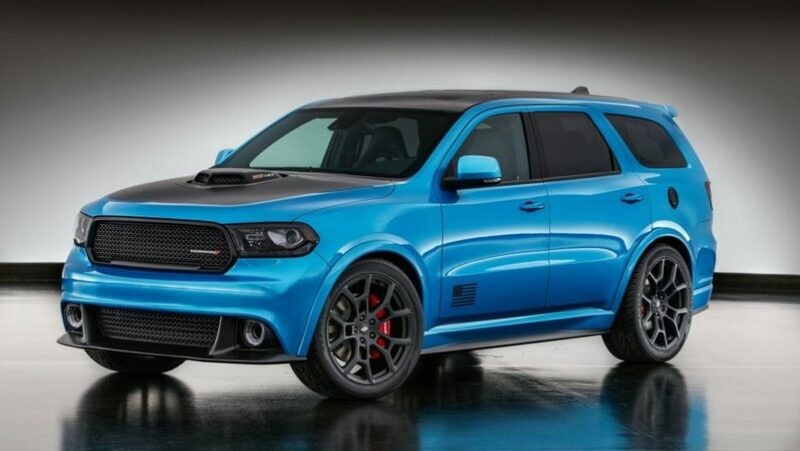 Well they stumbled upon the answer by chancing a concept at the recent SEMA show in Las Vegas, when they displayed their Hemi Durango with shaker hood, which they are now calling the Durango Shaker concept. It was flashy, it was bright, it was aggressive and powerful looking, and the shaker hood seemed to fit perfectly with the design of the vehicle. If there is one thing that Dodge does better than Jeep, that is making their models look terrifyingly powerful. The Shaker concept was featured with their corporate 6.4-liter V8, and a shaker-style hood scoop. With the recognition that the concept received at the event, as well as online, Dodge is truly considering this concept as a potentially trim level for their future Durango lineup. On top of that they are possibly looking to introduce a HEMI engine to give it even more lift with car enthusiasts. What FCA has done remarkably well in the past few years is they have done a great job of refining their subsidiaries, Jeep, Chrysler, Dodge and RAM to help them really find their one true calling. Jeep of course has always dominated the SUV segment, but Chrysler has come a long way with their sedans and now Pacifica minivan. Then you have RAM, with its recent changes, which has allowed it to climb back up top with the others in its segment. Finally, there is Dodge, this was the one that was having the hardest time in terms of discovering its identity. With the remake of the Challenge, Charger and now this potentially Durango HEMI model, it is safe to say Dodge has honed in on their ability to specialize on power and design more than anything else, and it appears to pay off for them thus far.